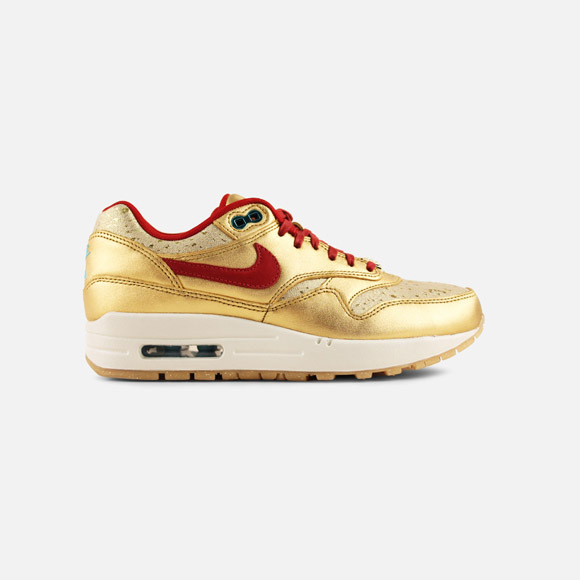 You can’t argue about taste. 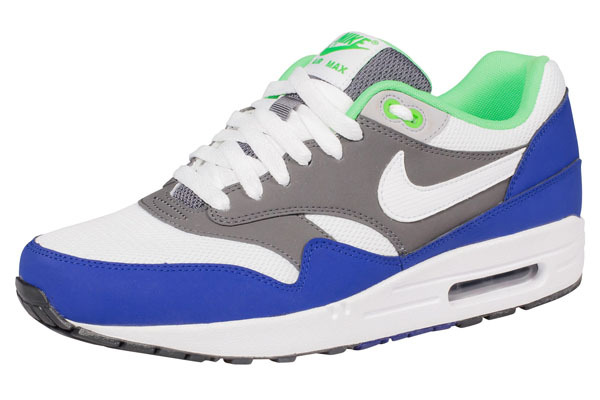 That’s one thing that’s certain. 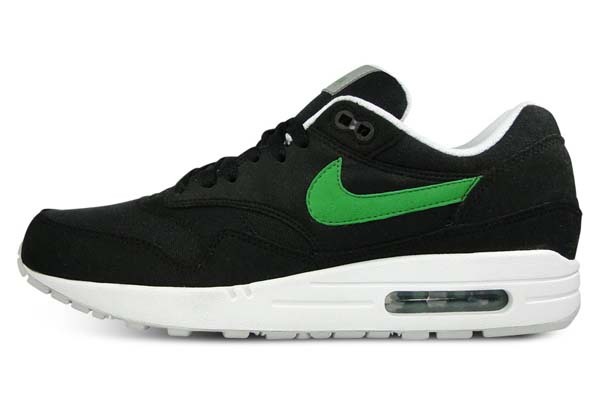 And that’s why Nike is releasing so many and so many different shoes. 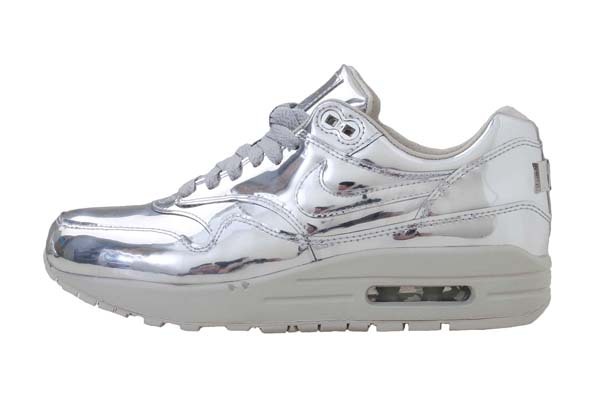 The styles go from really weird and controverting to really basic. 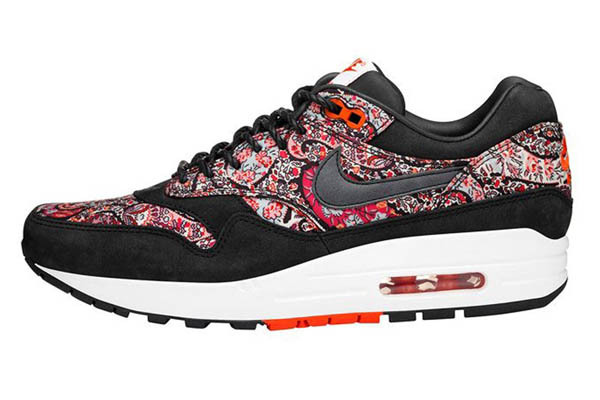 All designs, patterns, colors and materials have we seen. 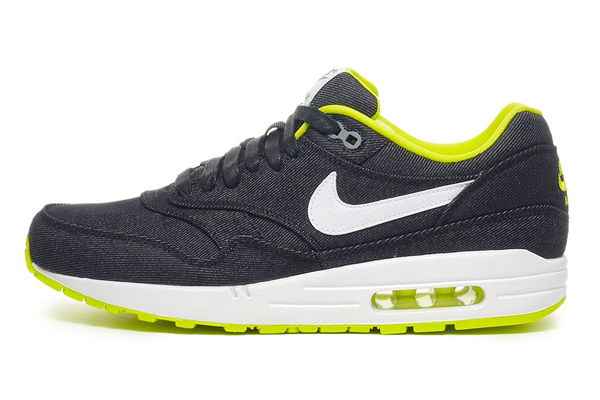 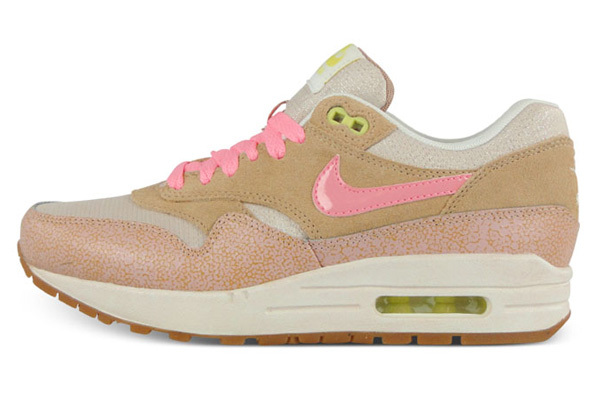 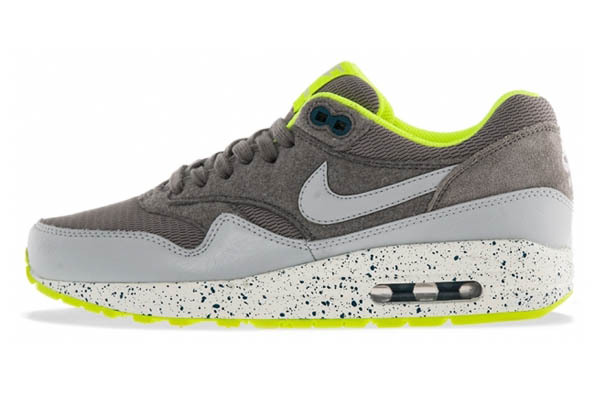 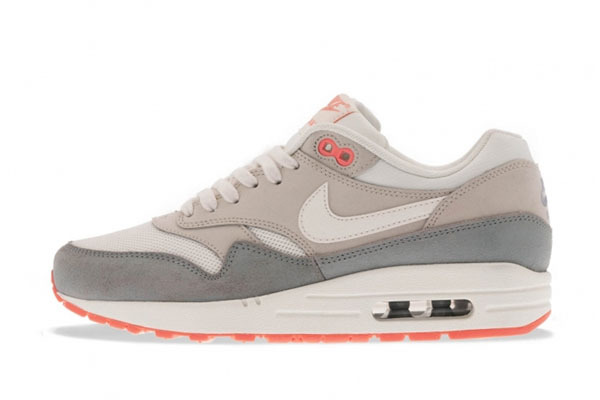 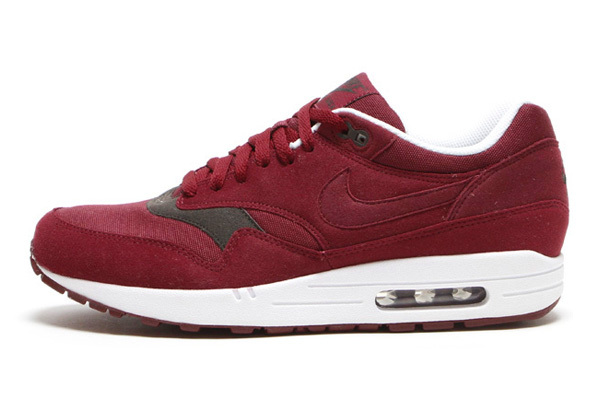 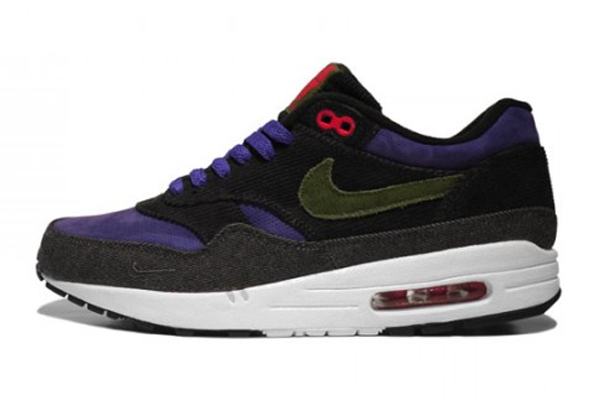 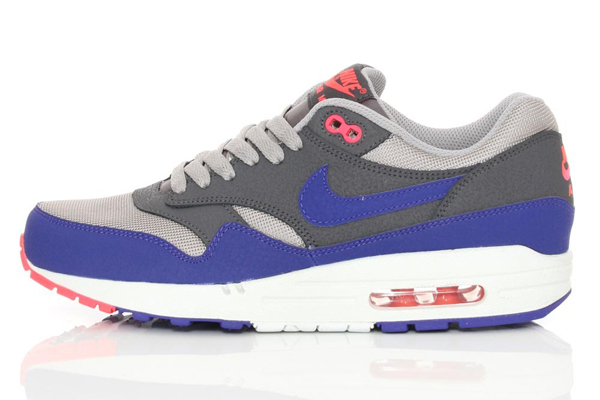 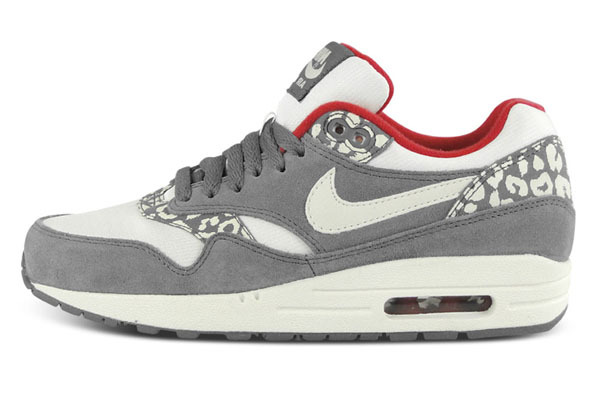 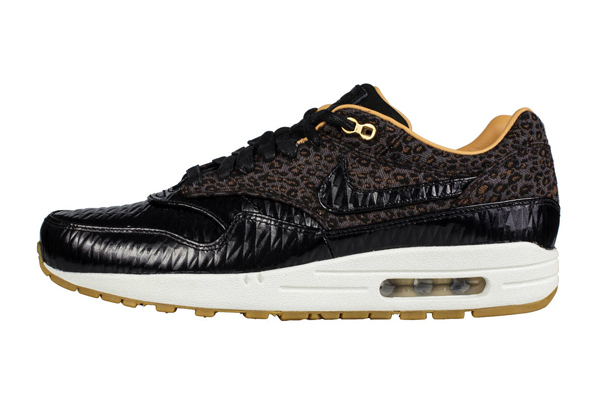 And also this season Nike Air Max 1 WMNS comes with a new awesome release for the ladies. 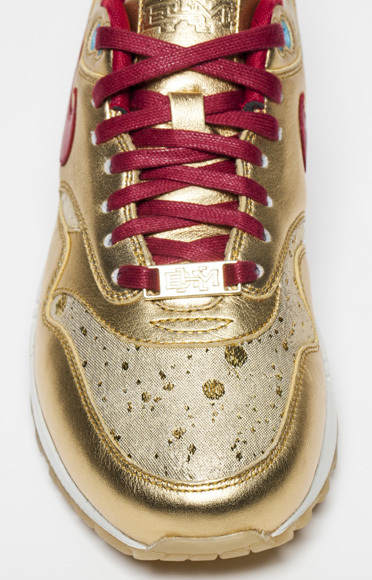 And this is so not a basic release! 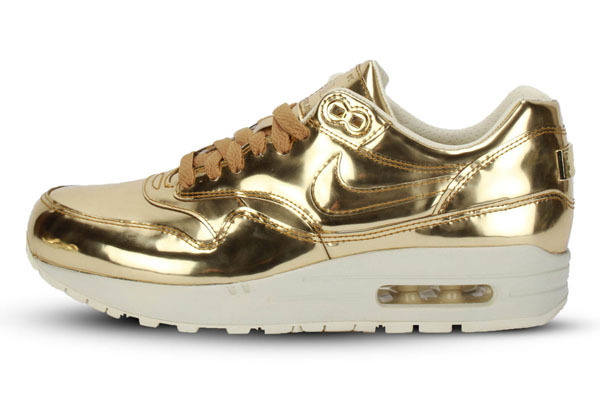 With a pair of these shoes on your feet you can say without a doubt: ‘I am GOLDEN!’. 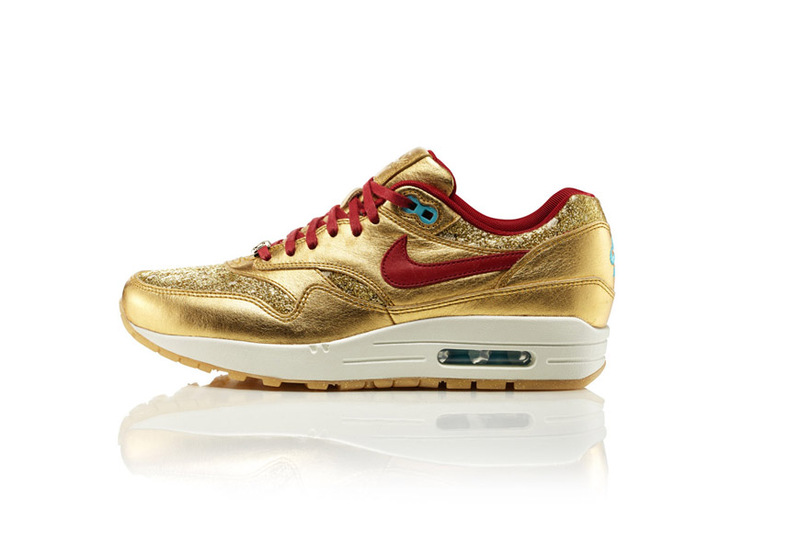 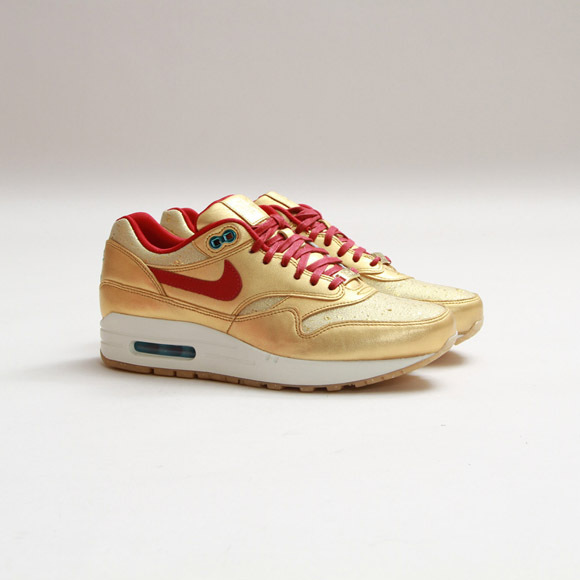 For the latest release, the Nike Air Max 1 BMH – Gold & Red the brand used gold and red as the base colors. 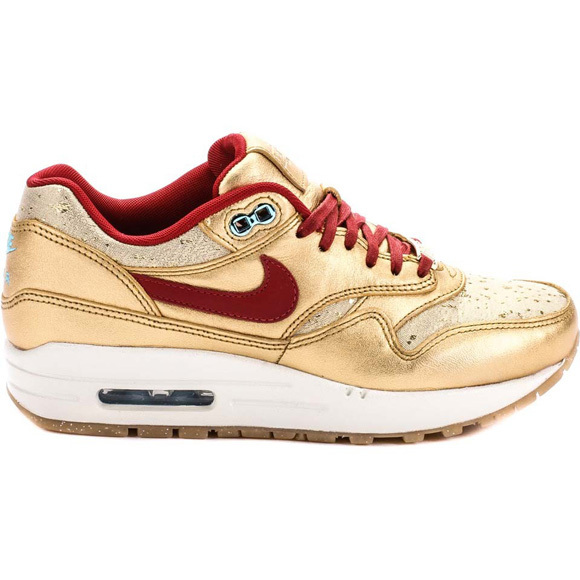 The Nike Air Max 1 BMH – Gold & Red has a gum sole with on top a white mid-sole with a see-through air-bubble in its heel. 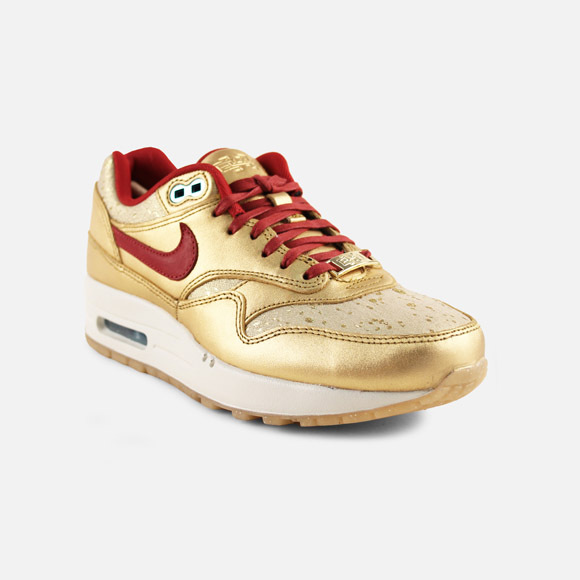 Then for the whole upper, they used golden smooth leather. 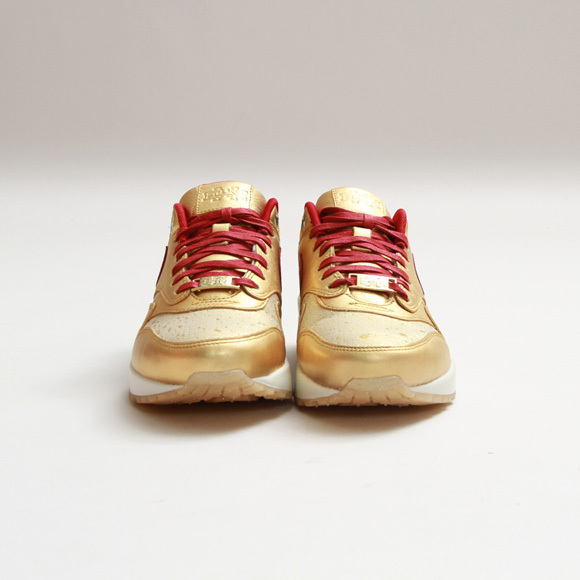 Only on the toe box and the path around the ankles comes in different materials. 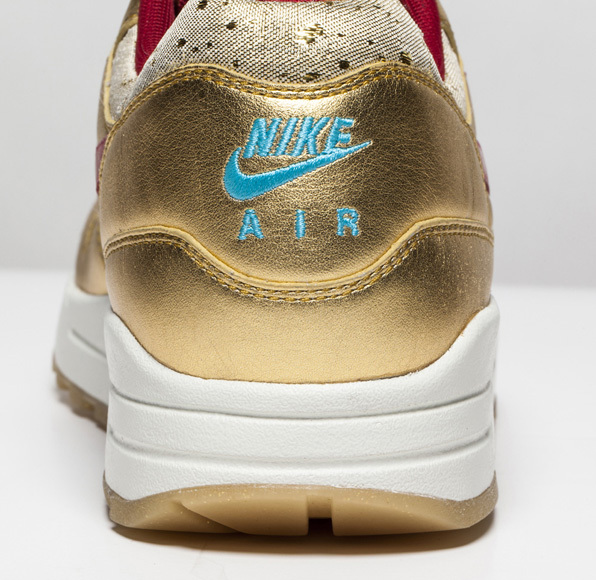 I think they used golden suede for these parts, but because of the suede, the gold cracks so it looks like gold foil. 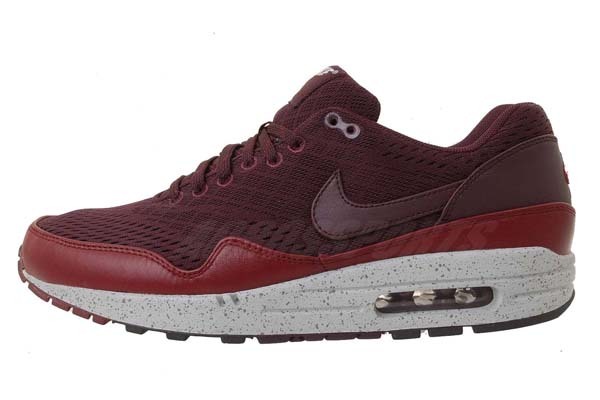 For the contrasting elements they used red. 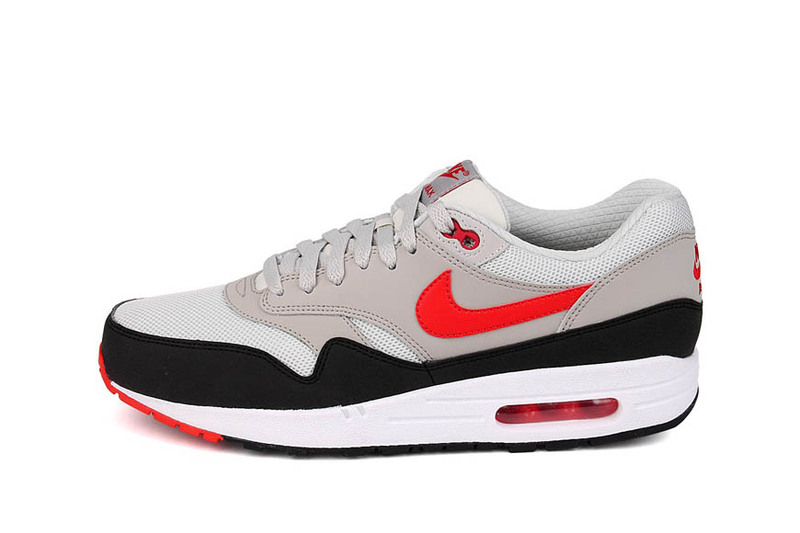 The Nike swoosh, the laces and the inside of the shoe comes in red. 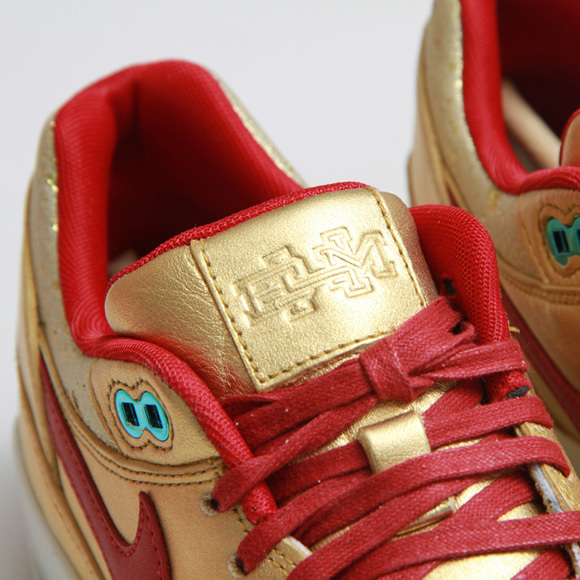 And something totally different: for the little logo on the heel of the shoe they used light blue. 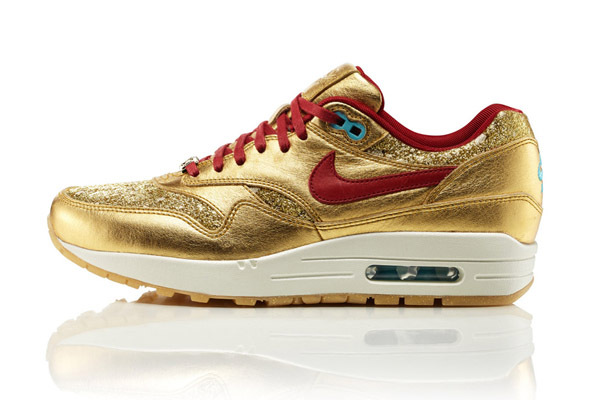 Tricky but cool!